It’s not a secret that choosing the right API Testing Tools can be overwhelming. 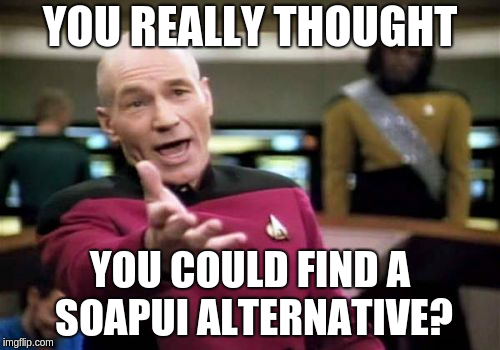 And you are desperately looking for SoapUI Alternatives, I’ve been there too. GUI Testing can be horribly slow, a nightmare to maintain and requires a permanent QA Engineer. It’s no wonder more and more Devops oriented companies (who aim to unify software development and testing) tend to favor API Testing. API (which means Application Programming Interface) Testing has proven to be faster and more reliable. Plus, developers can write tests too! Looking for an ultimate guide to make your choice? Here we have made visual reviews of more than 20 Rest / Soap Testing software in one single place. No more web crawling to get an insight on all the tools! Ready for some action? Let’s go! In computer programming, an application programming interface (API) is a set of subroutine definitions, protocols, and tools for building application software. When it comes to APIs exposed on the web through HTTP servers, it’s basically endpoints with different paths (URLs) each exposing its own logic. Better than one thousand words, the following video explains What an API Is. We’re talking here about Test Automation on HTTP Rest APIs. Mimic as closely as possible to interactions a web browser performs with the API. Typically, those needs are almost the same as the one required by load testing. Except here we deal with functional testing instead. 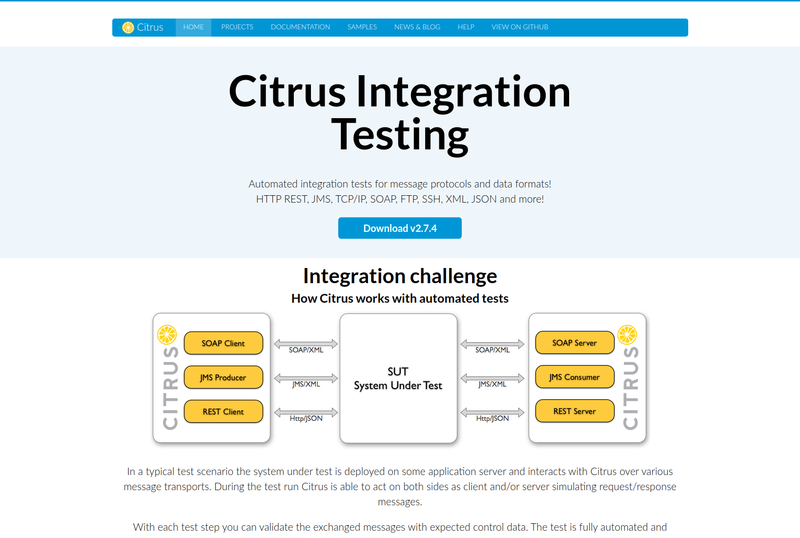 Citrus Framework is an Automated integration tests for message protocols and data formats including: HTTP REST, JMS, TCP/IP, SOAP, FTP, SSH, XML, JSON and more. 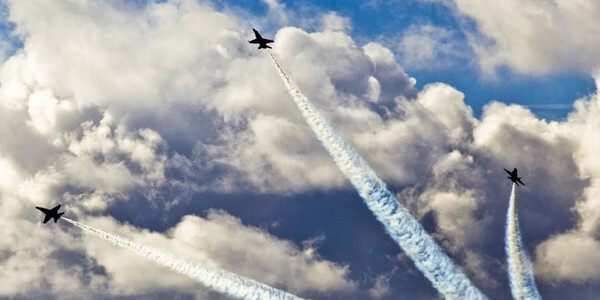 In a typical test scenario the system under test is deployed on some application server and interacts with Citrus over various message transports. 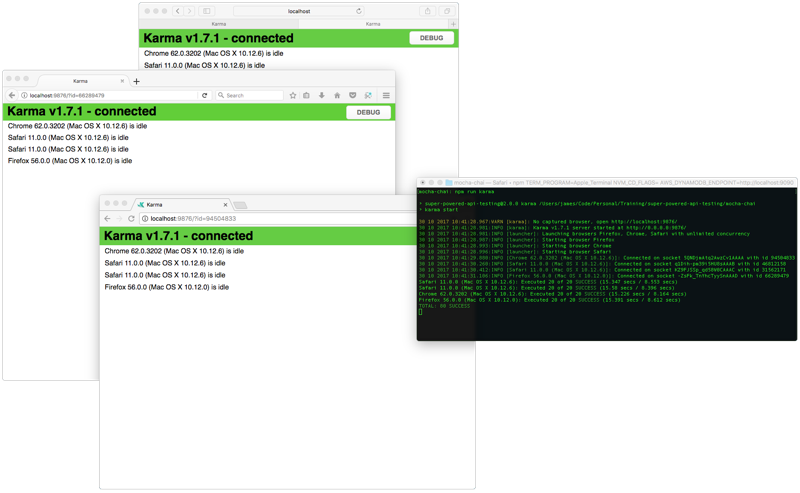 During the test run Citrus is able to act on both sides as client and/or server simulating request/response messages. With each test step you can validate the exchanged messages with expected control data. 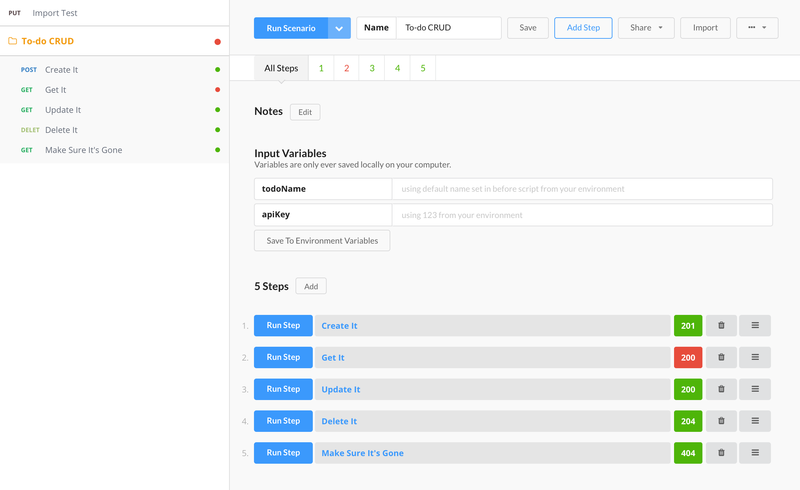 The test is fully automated and repeatable, so you can easily add the integration tests to your continuous build. Validation: message header and body assertions. Has API mocking / test-double capabilities. 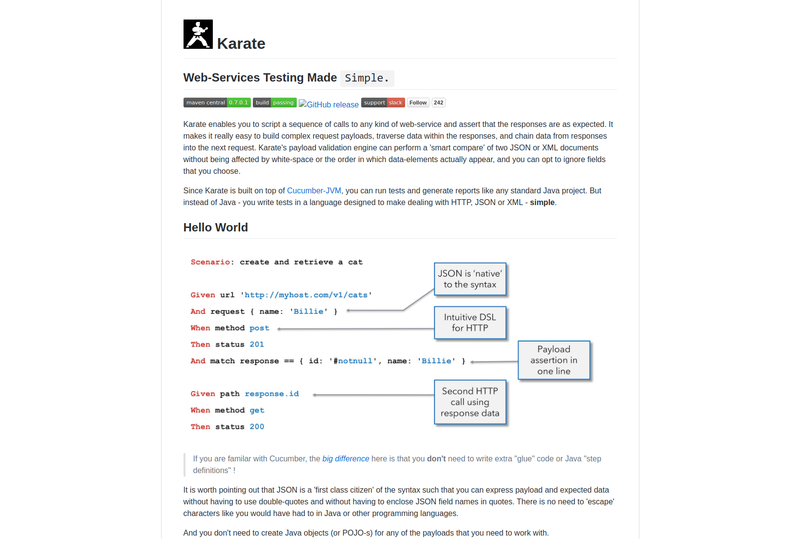 see Karate DSL Features to see them all. There are 25+ unique features! Test reports are rich and provides insightful information. Requires some coding knowledge (which can be difficult for a QA, but okay for Devops). Karate by Intuit enables you to script a sequence of calls to any kind of web-service and assert that the responses are as expected. It makes it really easy to build complex request payloads, traverse data within the responses, and chain data from responses into the next request. Karate’s payload validation engine can perform a ‘smart compare’ of two JSON or XML documents without being affected by white-space or the order in which data-elements actually appear, and you can opt to ignore fields that you choose. Since Karate is built on top of Cucumber-JVM, you can run tests and generate reports like any standard Java project. But instead of Java - you write tests in a language designed to make dealing with HTTP, JSON or XML - simple. 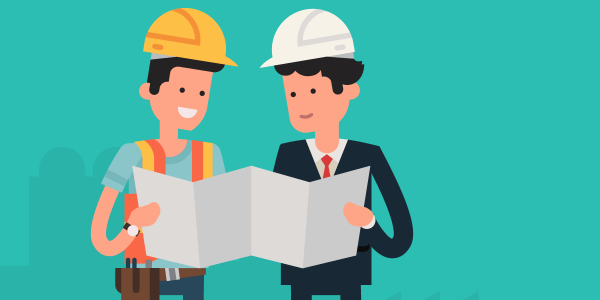 As mentioned above, most CI tools would be able to process the JUnit XML output of the parallel runner and determine the status of the build as well as generate reports. The Karate Demo has a working example of the recommended parallel-runner set up. It also details how a third-party library can be easily used to generate some very nice-looking reports, from the JSON output of the parallel runner. For example, here below is an actual report generated by the cucumber-reporting open-source library. @KarateDSL Karate tops the list for me. Clearly, we would like to mention we have no affiliate link with SoapUI. 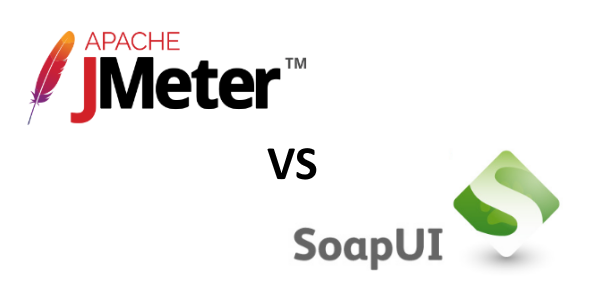 The fact we indicate SoapUI as the potential winner on API Testing Tools only reflects our opinion. Sadly, we don’t have the expertise in our team to write a complete review of your tool, so we’ve just improved it with the details mentioned by Peter. We would like to thanks BigstickCarpet for his excellent guide SuperPower API Testing for most of the information provided below. Results are shown within the console. When results are green, everything is fine. Results can be executed directly inside an IDE too. 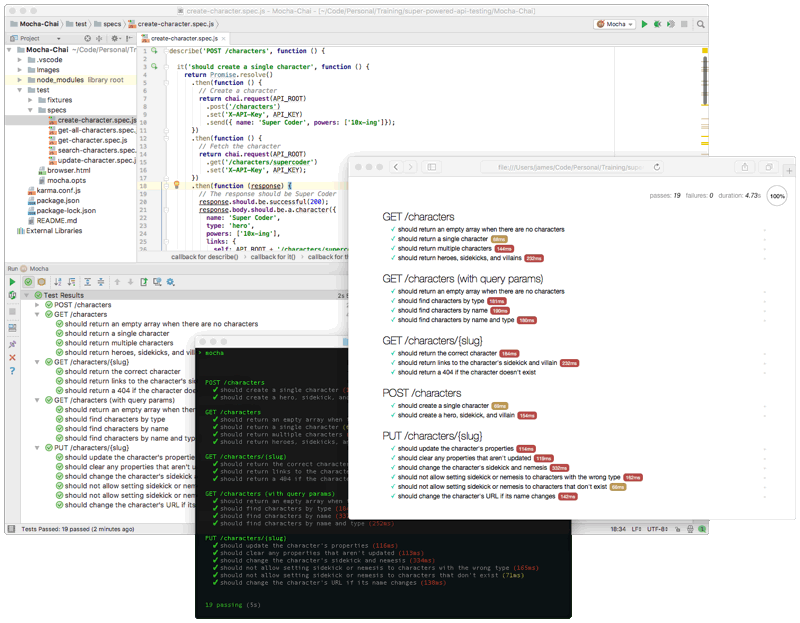 Mocha and Chai can be combined to run tests via a CLI interface or an IDE. The CLI works well for automated testing as well as CI/CD tools. There are also plugins for many popular IDEs and code editors, including VisualStudio, Atom, WebStorm and more. The API cannot be proxied to record interactions. Browsers and mobile devices have many limitations and restrictions in place for security, privacy, and latency reasons, which your API may need to account for. Running real-world tests is always one of the best options since it’s the closest to production. 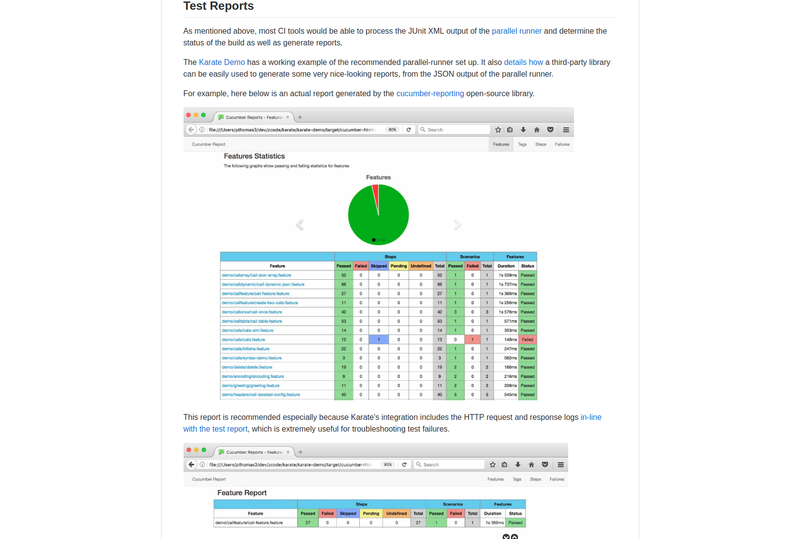 Karma Runner or Nightwatch can be used to automate cross-browser testing. 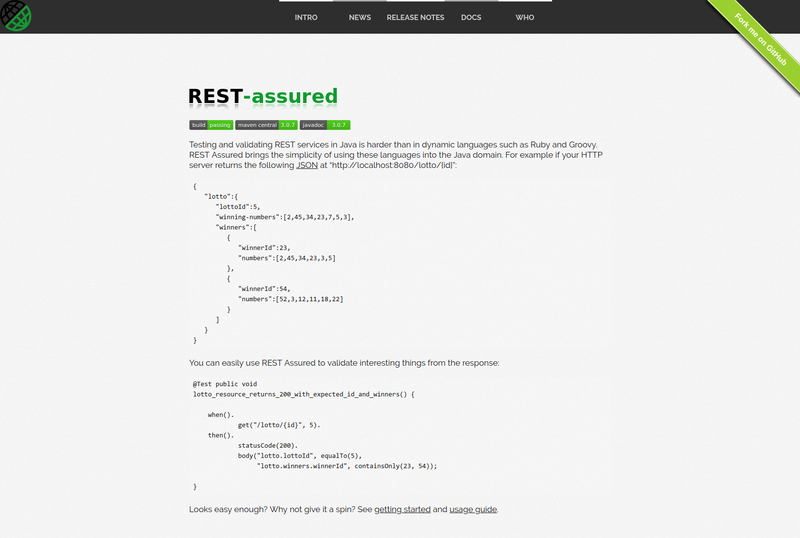 Rest Assured is a Java testing library to perform rest http calls to a Rest API and perform checks on server responses. The project sources are available on GitHub. Probably not the best Java lib for Rest API Testing (see alternatives below). All standard HTTP Methods supported (GET, POST, PUT, PATCH etc.). 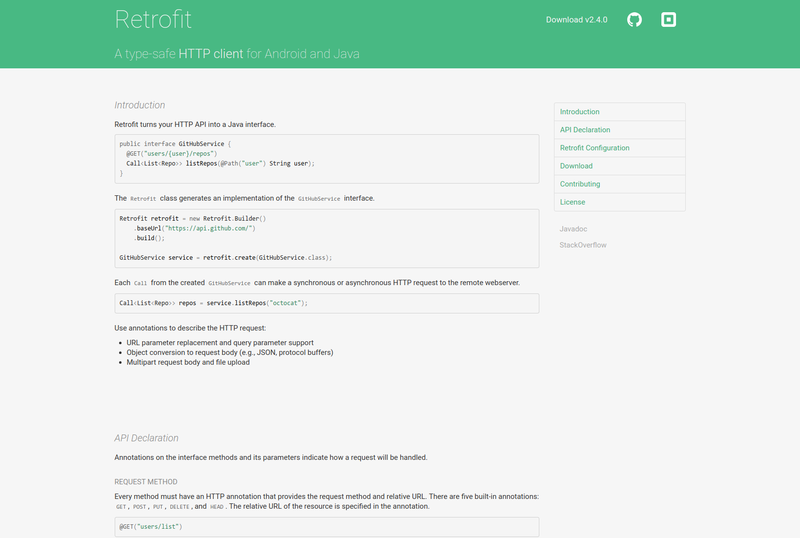 Retrofit turns your HTTP API into a Java interface. 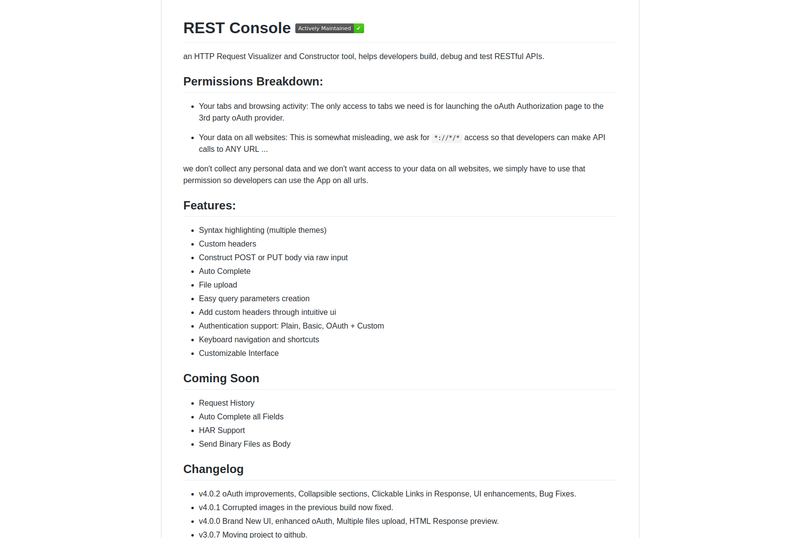 It’s a Java library which allows to write unit tests to automate testing your Rest API. 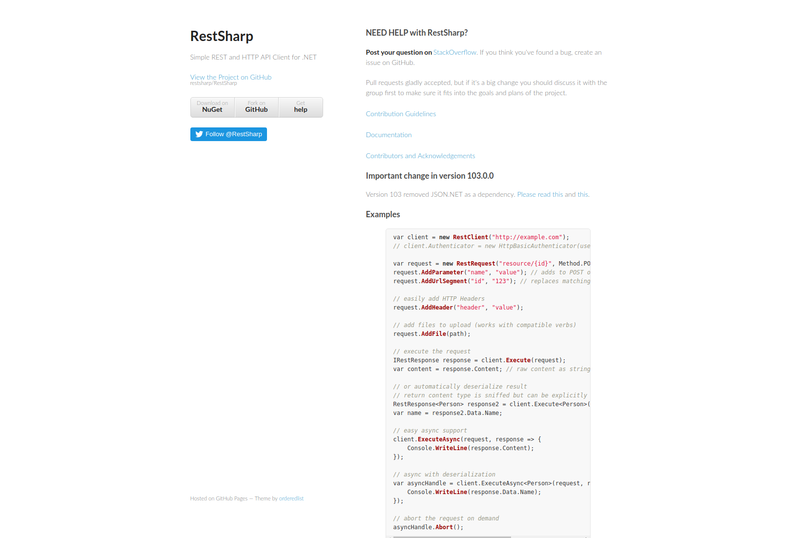 The Retrofit class generates an implementation of the GitHubService interface. Each Call from the created GitHubService can make a synchronous or asynchronous HTTP request to the remote webserver. It supports all standard HTTP methods including multipart post requests. We use it at OctoPerf to test our API! Not QA Engineer friendly (at least those who don’t program). 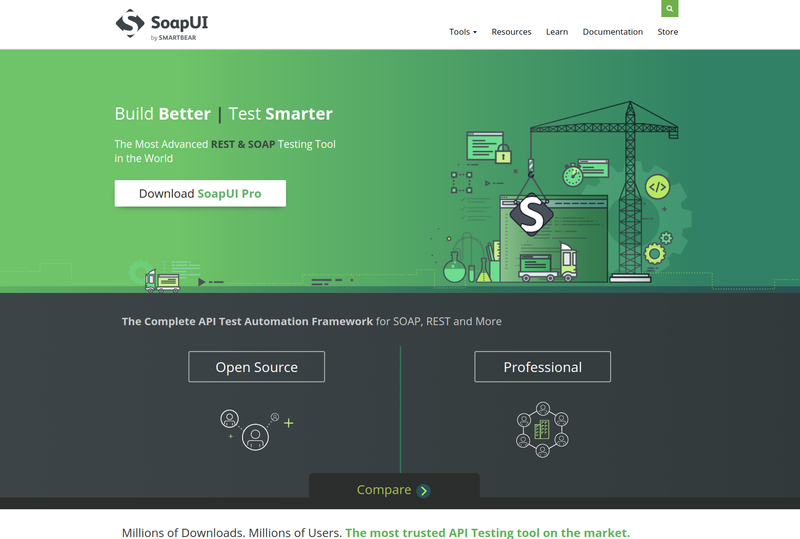 To be honest, after reviewing all the API Testing Tools below, it’s quite clear SoapUI is significantly better than any other tool available on the market (and for free). If you can bear the dated UI which is not especially user-friendly, you’re good to go! Or Obiwan told you it’s bad to rely on a single tool. It’s not a surprise to hear that QA and developers hate testing their APIs. Whatever reason, we feel like it’s always worth to mention alternative api testing tools doing best effort to provide alternatives with slick and modern interfaces. 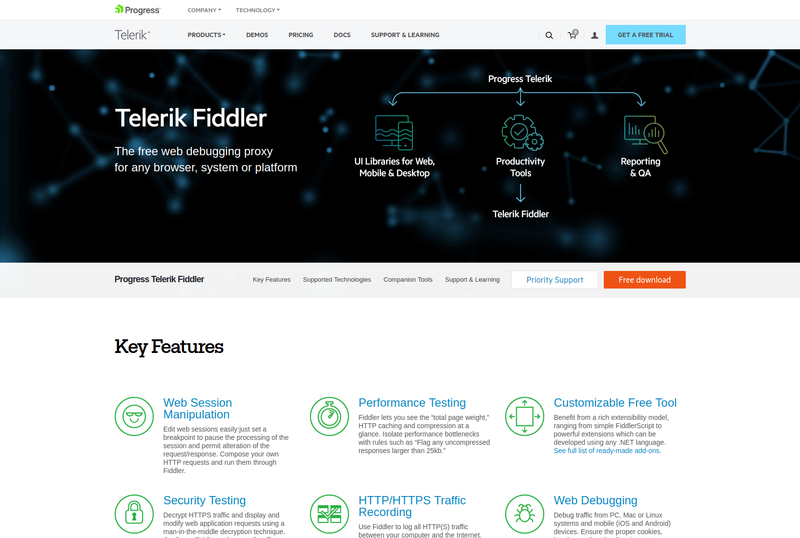 Fiddler is a web debugging tool which allows to capture and replay https requests very easily. 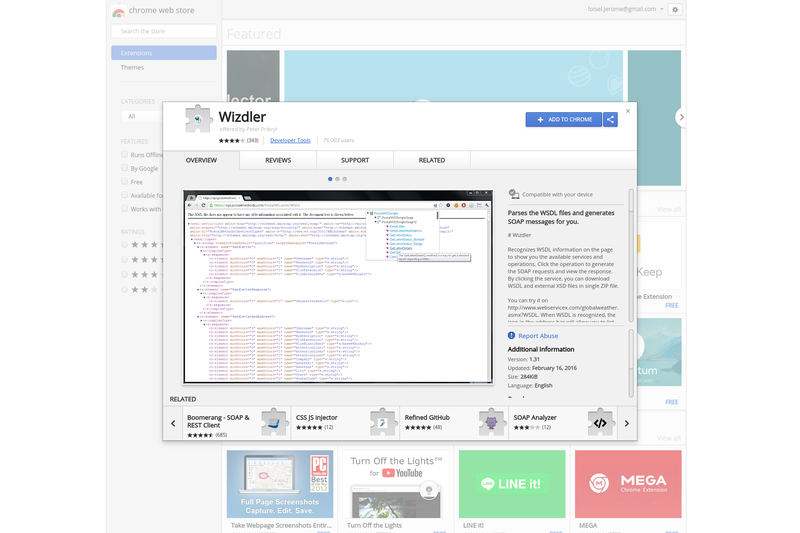 Fiddler is designed to be extensible. 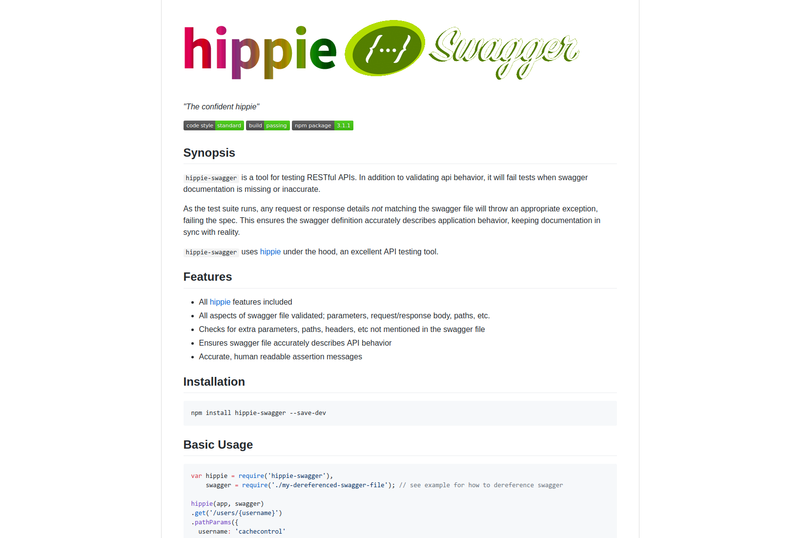 APITest is definitely an extension worth to try: it enhances Fiddler to validate the behavior of web APIs. At OctoPerf, our clients use Fiddler to capture the requests and responses during a recording. No very user friendly for non-tech folks. Requires a bit of knowledge about how the HTTP protocol works. 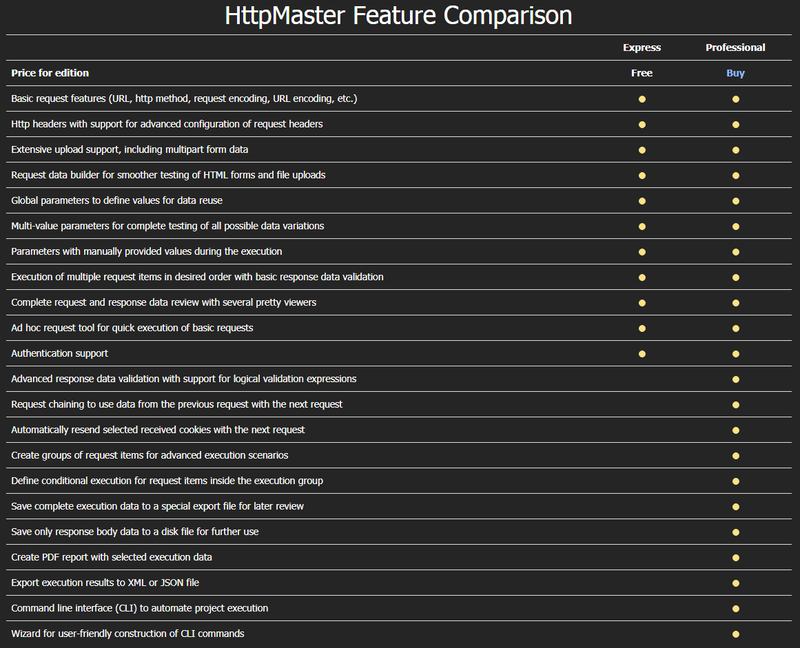 HttpMaster is a tool to automate API endpoint testing. It allows to perform functional testing on HTTP APIs including Rest endpoints. SOAP has limited support. Practical and Easy to Use: Enjoy elegant and responsive user interface, easy test management, codeless tests, and more. Newer projects generally cannot be opened with older HttpMaster versions. Insomnia is a powerful HTTP toolbelt, in one intuitive app. 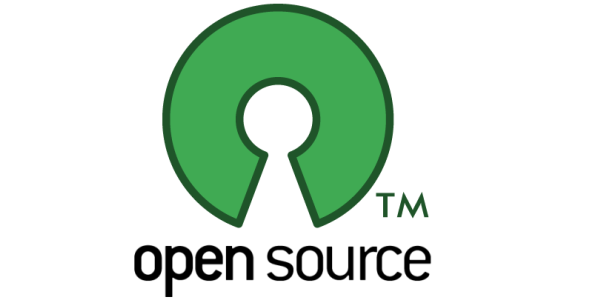 Free and open source on Mac, Windows, and Linux. Insomnia is a cross-platform REST client, built on top of Electron. The project source code is available on GitHub. Wow, just wow! Just one word: beautiful! Create workspaces or folders, drag-and-drop requests, and easily import and export your data. Easy to install (Chrome Extension). You can read Insomnia user reviews on the Chrome store. This REST client has really a clean interface. The emphasis on a clean and efficient UI is evident. Has a wonderful UI to design tests using point-and-click. Supports a wide variety of Rest Calls. WYSIWYG editor could be improved. 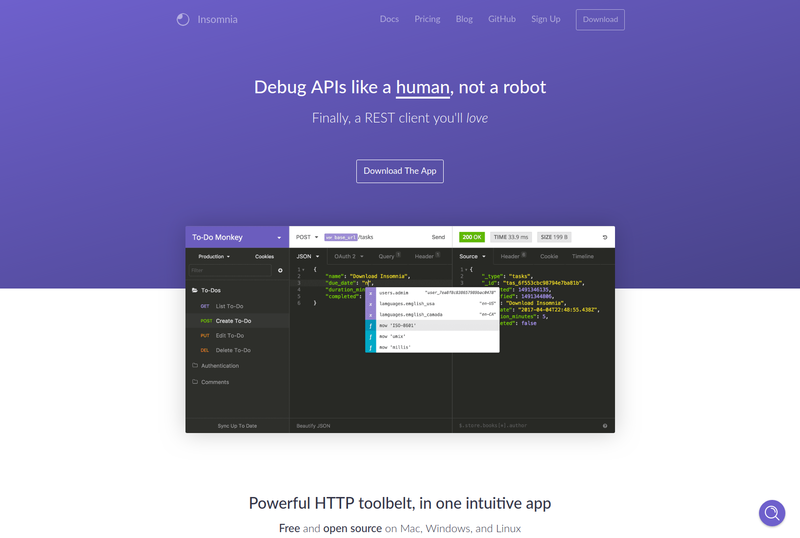 Postman is a software that helps developers and companies create API workflow, it is efficient on Chrome to test, develop and document APIs and create complex requests, go back in time and view results in a beautiful way. Postman Makes API Development Simple. 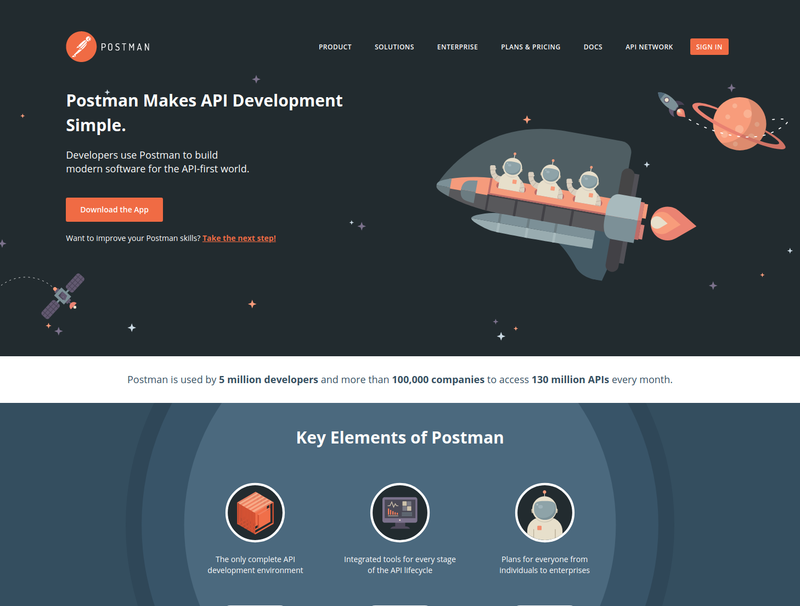 Developers use Postman to build modern software for the API-first world. 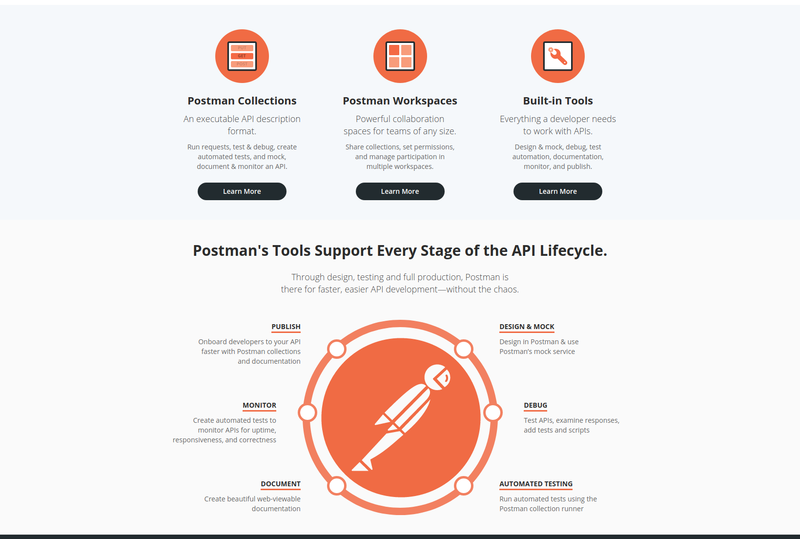 Postman is used by 5 million developers and more than 100,000 companies to access 130 million APIs every month. Postman Collections: An executable API description format. 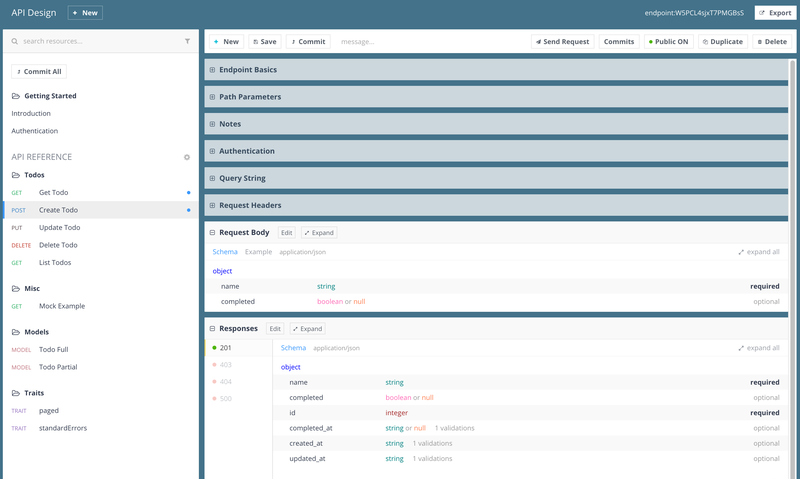 Run requests, test & debug, create automated tests, and mock, document & monitor an API. Postman Workspaces: Powerful collaboration spaces for teams of any size. Share collections, set permissions, and manage participation in multiple workspaces. Built-in Tools: Everything a developer needs to work with APIs. Design & mock, debug, test automation, documentation, monitor, and publish. You can open each API request one-by-one in Postman’s request builder. It’s the preferred way to view and run single isolated tests. If you click the Send button in the request builder, it will send the request and run the script. Results are displayed at the bottom of the screen. Successful tests are green, and failed ones are red. Postman Collections can be run within the Postman app using the collection runner, from the command line using Postman’s Newman tool, or on scheduled intervals using Postman Monitors. Running a collection is useful when you want to automate API testing. Newman is a command line collection runner for Postman. Results have high contrast which make them very easy to read. 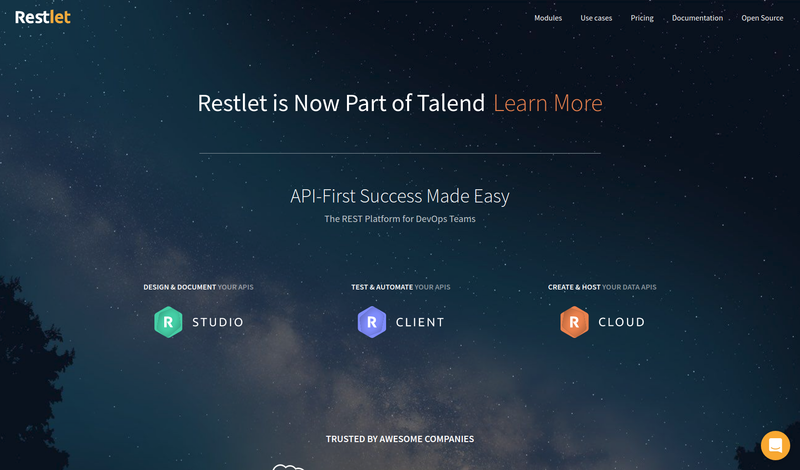 Restlet is a free Chrome extension which is pretty easy to use to test Rest APIs. RESTLet features a GUI directly embedded into Google Chrome. It’s as easy as other tools like Postman to design Http Requests and assert server responses. RestLet Expressions are structured strings that are parsed and evaluated by Restlet Client. Those are extremely helpful to extract content from a server response for later reuse in subsequent requests (like a session id). This GUI Expression Builder makes it extremely easy to extract those variables. We feel like it’s worth to mention because other tools are so sophisticated on this point. As with Postman, there is a nice UI which lets you run all the tests by clicking on the Play button. Again, green ticks indicate tests that ran successfully. Running Restlet tests from the command line requires Maven and the Java JDK. Then, you’ll need to create a pom.xml file and get license key from Restlet. 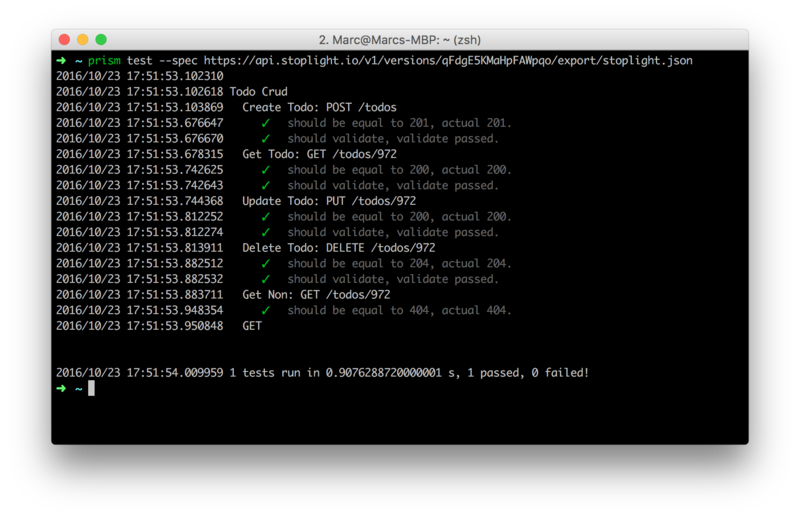 As Maven perfectly well integrates with most CI/CD platforms, it’s easy to automate tests using RestLet. SoapUI is an API testing software edited by SmartBear. SoapUI is a tool for testing Web Services; these can be the SOAP Web Services as well RESTful Web Services or HTTP based services. SoapUI is an Open Source and completely free tool. Test Reporting: Need metrics, statistics and other testing data? 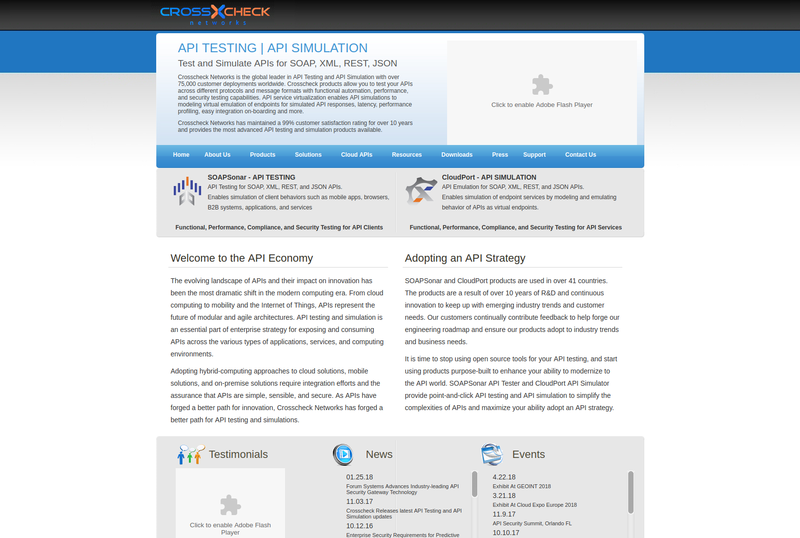 Get detailed, comprehensive API test reporting to improve testing and measure success. Requires a lot of memory to run smoothly (several GBs on big projects). Generally speaking, users find the UI awful to use. 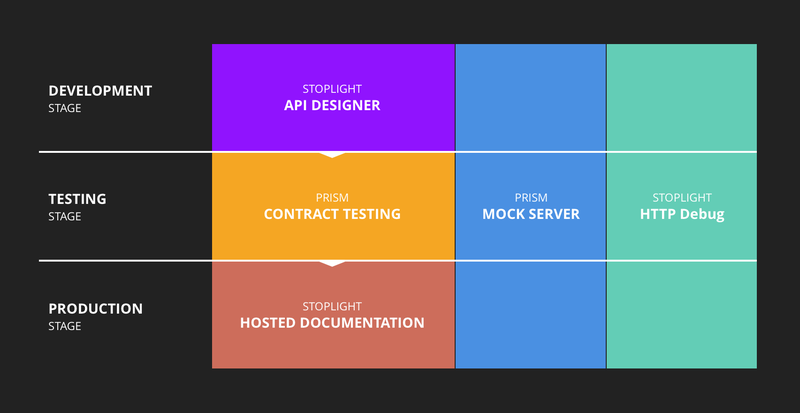 As you can see, StopLight is not just an API Testing Tool, but a complete suite to Test, Document and ship Rest APIs. The API Designer is in my opinion a great piece of software: it makes testing an API a breeze with its clean and slick UI. Targeting Quality Engineers, the API Testing interface is designed to quickly stop issues in a bunch of api tests. You can run all of them by clicking the Run Scenario button. As other tools, the CLI interface allows an easy integration with CI/CD pipelines. Stoplight is built on top of OpenAPI, so it can leverage the JSON Schemas in your API spec to generate verifications. Tests verifying your Json Schemas are automatically generated by the tool. That’s cool! StopLight uses the information provided about your API definitions to know if the endpoint has been tested or not. That’s how they generate coverage reports. Thanks to this information, you know which API Endpoints need to be tested. Lack of testing on newly added endpoints can be pinpointed too. It should not be confused with code coverage (lines of code being tested server-side): it’s API Coverage, equivalent to percent of exposed API Endpoints being tested. Tests can be run using the CLI (Command-Line Interface) and integrated into external tools (mostly for test automation). Simply click on Run Collection button, and it will run all the tests within the collection. StopLight puts the emphasis on connecting QA, Devops and Writer teams together. 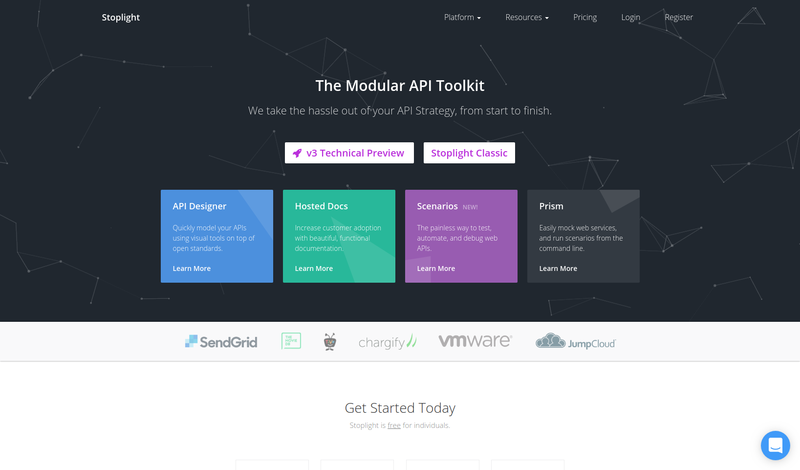 The tool covers pretty much everything from designing an API to putting it into production. We really like the polished UI and ease of use. 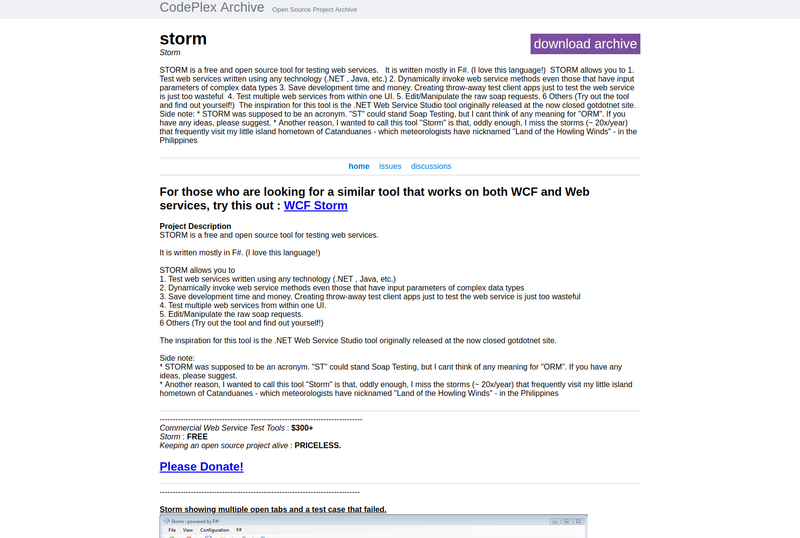 STORM is a free and open source tool for testing web services. 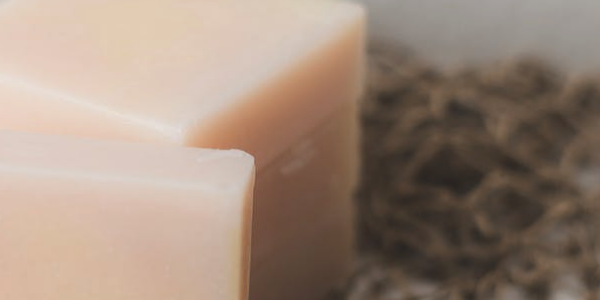 Edit/Manipulate the raw soap requests. This tool is pretty old (latest release was in 2008), but still used by some people because it does the job well. 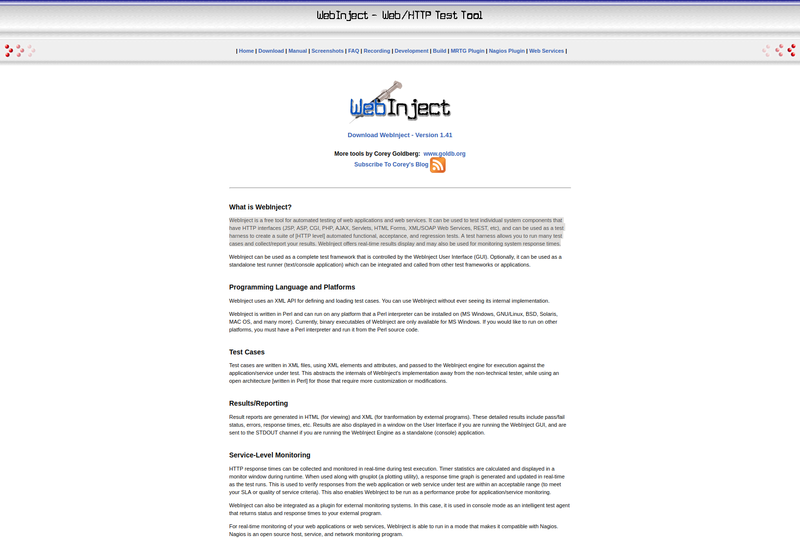 Please don’t focus on the poorly designed website, WebInject does the job too! And there is even a video tutorial explaining how to use it. Parses the WSDL files and generates SOAP messages for you. It’s really lightweight and makes it easy to quickly test a SOAP web service. Capable of building SOAP XML Requests. Perform tests quickly with the WSDL parser. As Google plans to shut down Chrome Apps, it’s possible this app will disappear in a near future. The following tools have not been thoroughly reviewed but we would like to mention them. 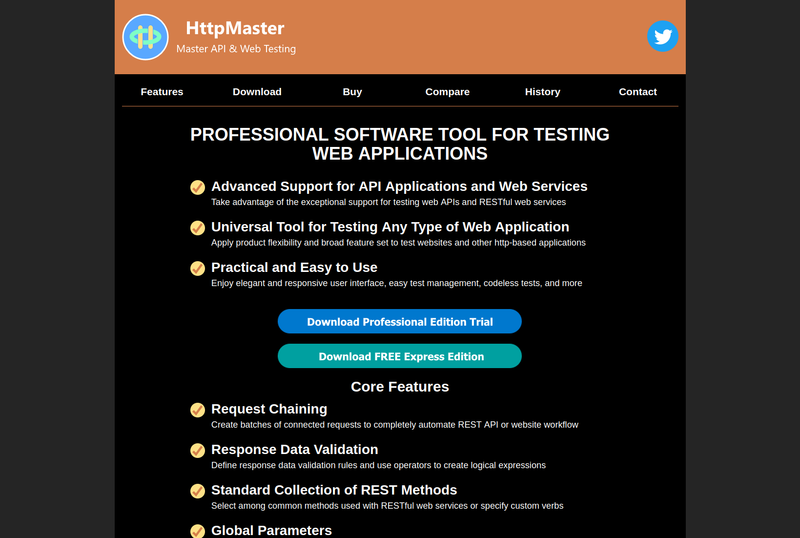 Just in case you’re still looking for an alternative Api Testing Tool. 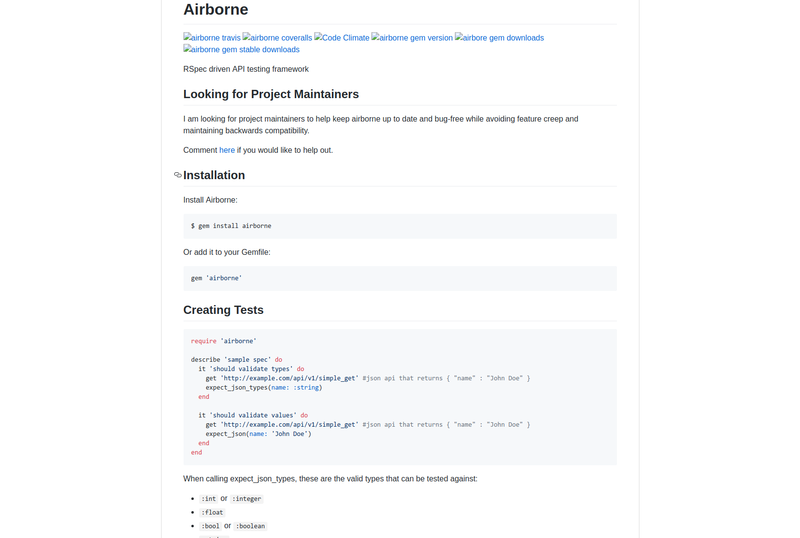 AirBorne: RSpec driven API testing framework. 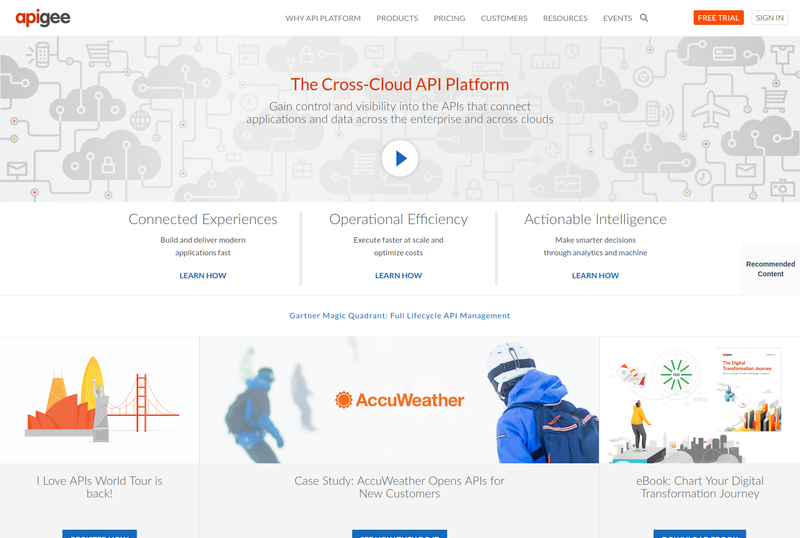 ApiGee is a cross-cloud API testing tool. 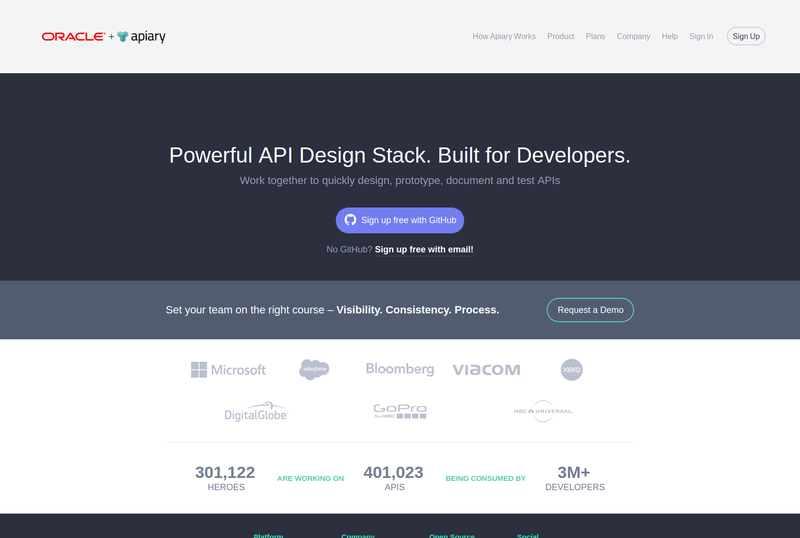 Apiary: Apiary allows monitoring the API during the design phase by capturing both request and response. 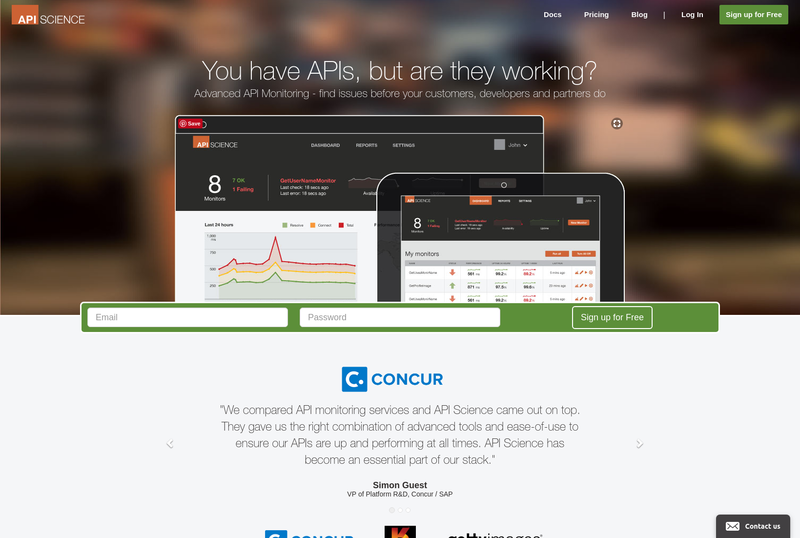 APIScience: API science allows monitoring the health, availability, and performance of web APIs. 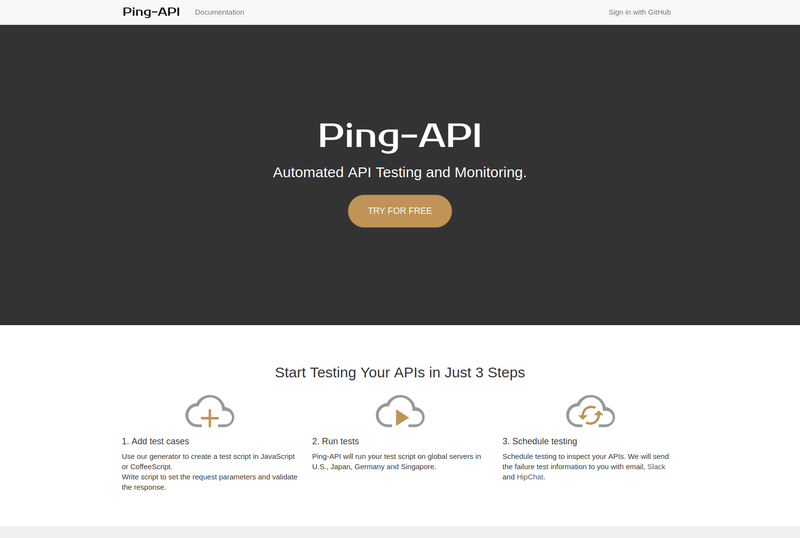 Ping API is an Automated API Testing and Monitoring tool. 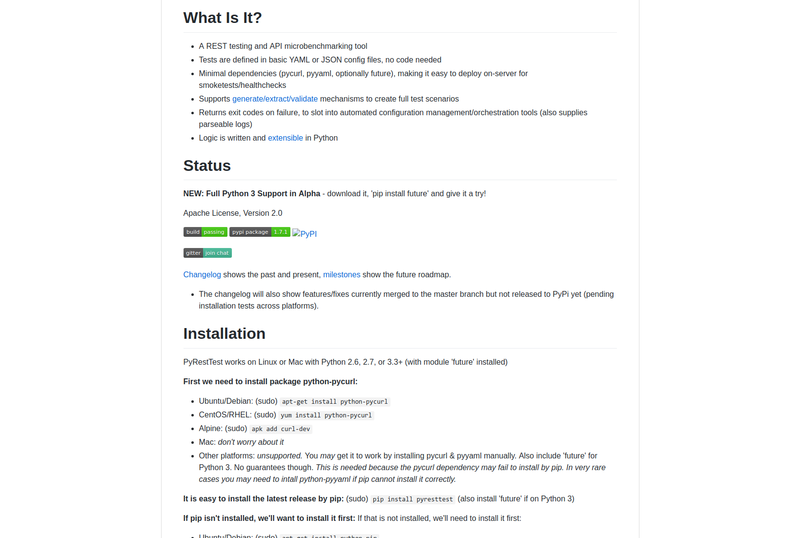 PyrestTest: A REST testing and API micro-benchmarking tool. 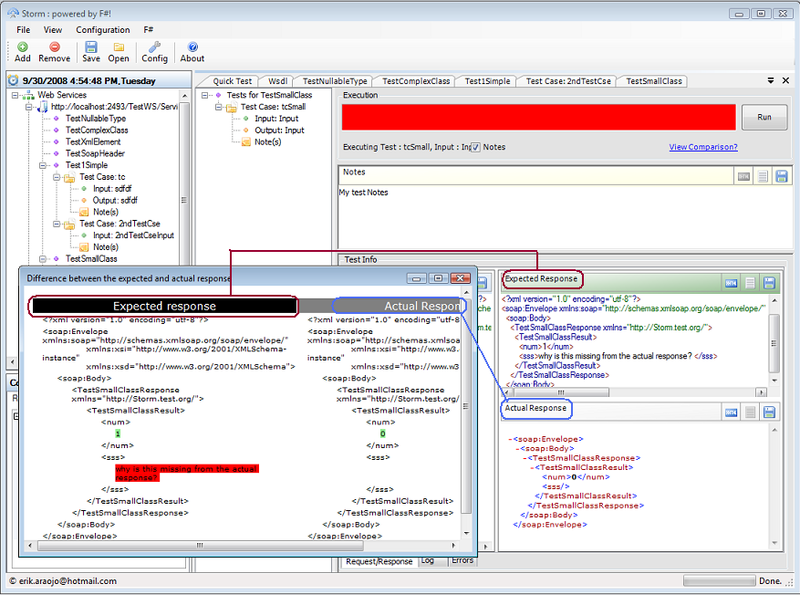 SOAPSonar: API Testing for SOAP, XML, REST, and JSON APIs. Cool! Postman is still my favorite tool. Thanks for sharing the ultimate list. Is The battle over? With 70% market share, Rest is dominating. However, Soap has numerous advantages over Rest. You’ll be surprised by the results.